Content Media announced today that it has acquired international sales rights to the star-studded romantic drama The Devil and the Deep Blue Sea, starring Jason Sudeikis (We’re the Millers, Horrible Bosses), Maisie Williams (“Game of Thrones,” “Doctor Who”), Jessica Biel (Hitchcock, The Illusionist), Orlando Jones (Evolution, “Sleepy Hollow”) with Paul Reiser (Aliens, Whiplash) and Mary Steenburgen (The Proposal, The Help). The film is currently in post-production. 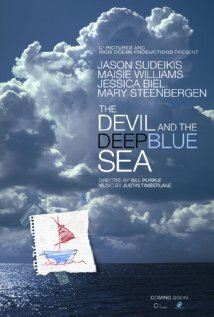 Bill Purple (“New Girl”) directed The Devil and the Deep Blue Sea from a script he wrote with Robbie Pickering. Jessica Biel produced the film through her Iron Ocean Films banner with partner Michelle Purple, along with Mike Landry and Carlos Velazquez of C Plus Pictures and Chuck Pacheco of Nine Nights, respectively. Executive producers are Ross M. Dinerstein of Campfire, Kevin Connolly, Robert Ortiz, Bill Purple and Gregory P. Shockro. Justin Timberlake will be scoring the film. Exploring universal themes of love and friendship, grief and laughter, The Devil and the Deep Blue Sea is deeply emotional, funny, and, ultimately, a life-affirming tale about the human spirit and the power of life and love. Content will unveil the first The Devil and the Deep Blue Sea footage in Cannes as the company introduces the film to international distributors for the first time. CAA, which represents Sudeikis, Biel, and Pickering, represents the film’s domestic distribution rights.